Doral is home to many national and international corporations many of which are in the financial and tourism sectors as well as other industries. Because it is located close to Miami International Airport and the ports in Miami, Doral plays host to import/export companies that utilize the transportation hubs and traffic arteries into and out of the area. This is a roomy 780-square foot one-bedroom, one-bath unit in a well-sought after Doral condominium community. Located on the first floor, this home features a great kitchen with lots of counter space and cabinets as well as a washer and dryer in the unit. There are hardwood floors in the living room and bedroom with tile in the kitchen and bath. Community amenities include a pool, gym and tennis court. It is an excellent option for those who travel as it is close to everything in Doral as well as highways into and out of the city. Available NOW is this gorgeous 743-square foot unit with tile floors. It has a large kitchen with plenty of counter and cabinet and flows well. It has a lot of space for a one-bedroom unit. 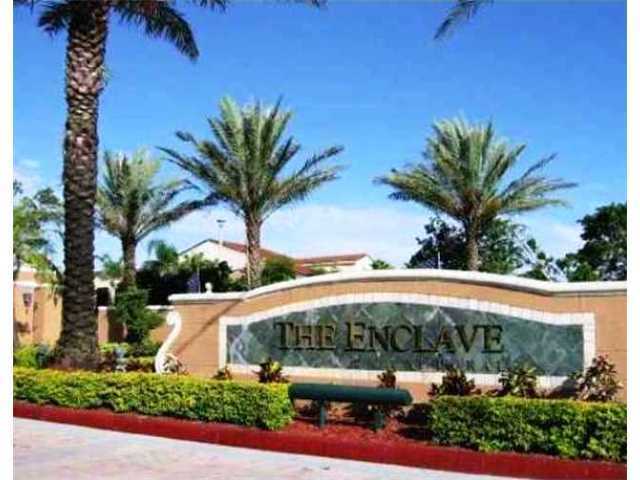 The Enclave is situated close to shopping, the airport and several golf courses as well as a short distance from the major thoroughfares into and out of South Florida. Residents enjoy use of the pool, fitness center, club house, and tennis courts. Living at the Enclave is much like being on vacation all the time. Located in one of Doral’s most sought-after gated condominium communities, this beautiful two-bedroom, one-bath unit at the Enclave is a ground-level residence with a large kitchen, washer and dryer and more. With tile floors throughout the unit, there is plenty of room to move. The Enclave offers residents use of the outdoor pool, club house, reserved parking and racquetball and tennis courts. The Enclave is close to everything from great schools to major transportation hubs to shopping. 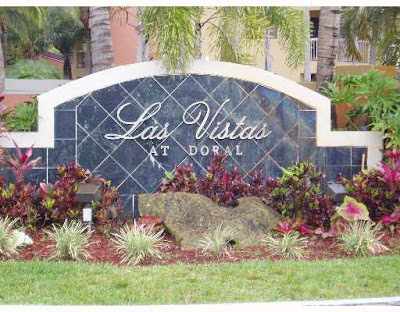 Villa Doral is home to this wonderful two-bedroom, two-bath unit that is just over 1,000-square feet. It features a nice open living area with roomy bedrooms and a nice balcony to enjoy the Florida sunshine. Along with a washer and dryer in the unit and all the other necessary appliances, this is a great home in a perfect community that includes a pool and other amenities. Located in Doral Park at the Doral House condominium, this three-bedroom, two bath unit features updated fixtures and finishes including Marmol flooring throughout the residence and some updated appliances. Doral House is located in an excellent neighborhood close to golf, shopping, Miami International Airport and major thoroughfares into downtown Miami. Community amenities include a pool, 24-hour security, fitness center, and more. Enjoy lake views in this beautiful three-bedroom, two and a half-bath unit at the popular Promenade Shores. It features a well-laid out kitchen with stainless steel appliances and tons of counter and cabinet space. Additionally, there are tile floors throughout the residence along with nice-sized bedrooms, walk-in closets and more. 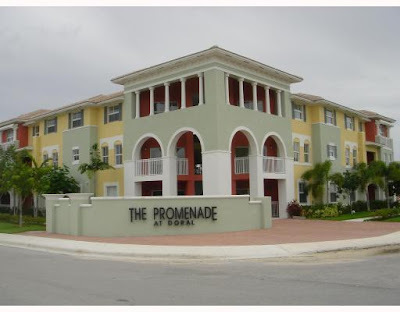 Promenade Shores is situated in a quiet area of Doral that is still close to the major traffic arteries as well as shopping, golf and all of the important areas of Doral. Promenade Shores offers residents use of a pool, fitness center, club house and more. As a newer community, it is surrounded by beautiful landscaping and more. Doral rentals offer lots of options to those who want to live in Doral but are not ready to invest in Doral real estate. From one-bedroom units to three-bedroom, townhouses, there are so many choices to fit the needs of those who want to rent in Doral.